The AvaCare@Home service aims to assist customers who need more hand-holding than customer service representatives can provide over the phone. 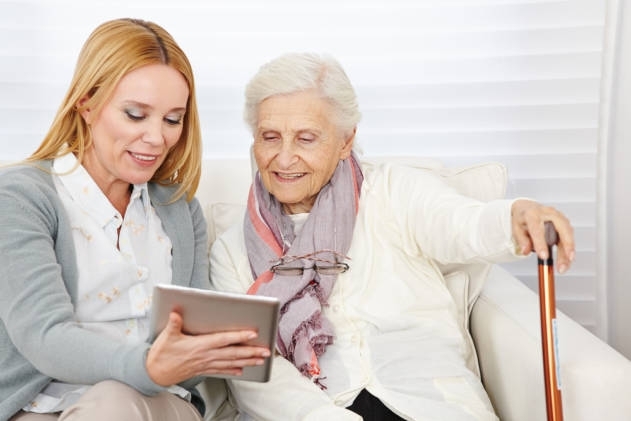 With AvaCare@Home, home-bound patients and caregivers can bring the AvaCare Medical experience to their own home by having a medical professional visit them in person to walk them through product selection. Using the AvaCare@Home service is as simple as contacting us with your location and your needs, and a customer care representative will arrange everything else for you. Call us today at 1-877-813-7799 to find out your options! AvaCare@Home is just one of the many ways in which we are working to make the lives of our customers easier. If there's anything else we can help with, please give us a call - our trained associates are waiting by to assist you in whatever way we can! Disclaimer: AvaCare Medical is committed to providing highly qualified medical professionals to offer in-home consultation and assistance with the initial product search. Customers who choose to use this service take full responsibility for their final purchases.